In typical OnePlus fashion, we've been teased yet again. This time it's an image featuring a mysterious product that's left us scratching our heads. Eagle-eyed techsters, feel free to add your two pennies' worth. OnePlus shared this image on its Google+ page, though exactly what we're looking at isn't clear. The image shows some kind of leather material in the foreground, plus there's also some kind of red-and-white threaded lace in the background. 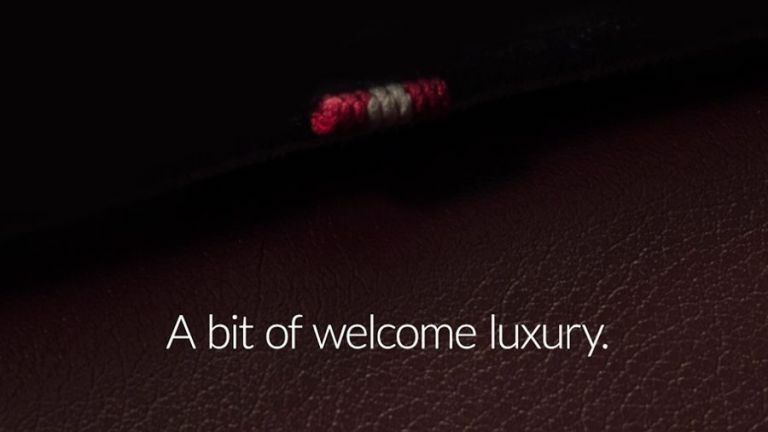 "A bit of welcome luxury" reads the tagline on the poster and that's complemented by the actual post, which reads: “Something luxurious is coming to OnePlus. What could it be?” We get it, it's luxurious, but what exactly is it? Our best guess is that it could be some kind of premium case for the OnePlus 2. Considering the only type of case it doesn't have is a leather one, it would make sense. There's also a chance the image is referring to the third phone that OnePlus is set to release later this year. Either way, OnePlus knows it has some customers to win over. Many people have been put off by the slow roll-out of the OnePlus 2, which CEO Carl Pei even said could have gone better. Time for predictions. What do you think the latest OnePlus teaser is hinting at? A case, a phone or something out of the blue? Let us know in the comments.